Arrow Video, with domestic sales and distribution guidance provided by MVD Entertainment Group, has selected Apr. 16 for the Blu-ray release of a new 2K film restoration (from the original 35mm camera negative) of director Enzo G. Castellari’s legendary Spaghetti Western, Keoma, starring Franco “Django” Nero as the title character. It’s 1976 and the glory days of the Spaghetti Western are beginning to fade. 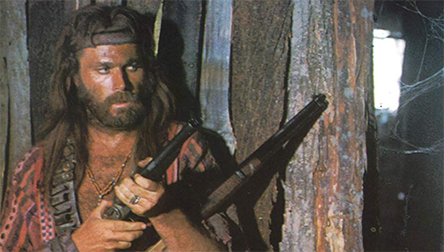 Legend has it that Castellari approached Nero and suggested that a real sequel to the 1966 hit, Django, might be a fitting close-out to the genre. Manolo Bolognini, the producer of the original Django, was on board with the idea and as soon as Nero’s commitment to director William A. Graham’s 21 Hours at Munich was wrapped production would begin on Keoma. A script was commissioned, but tossed out on the first day of production and a whole different outlook for the project was agreed upon … there was no turning back. Over the next eight weeks a story was improvised and the legend of Keoma was born. 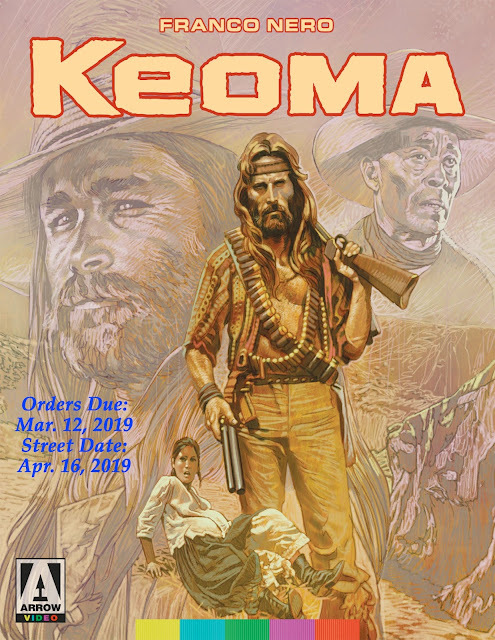 Of course Keoma is having none of this and takes on Caldwell and his thugs with the help of a his father (played by William Berger), a freed slave named George (Woody Strode) and Liza, a pregnant woman (Olga Karlatos) … he is guided in this one-sided mission by the visions of a woman who seems to be a “Witch” or a mystic of some kind (played by Gabriella Giacobbe). 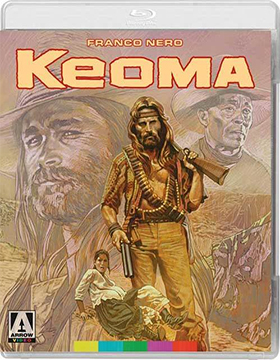 Violent to be sure, but radically different from the traditional Spaghetti Western motif, Keoma emerged as a unique film vision that has, perhaps surprisingly, stood the test of time. Bonus goodies include both the original Italian-language track (with newly-prepared subtitles) and the theatrical English-language dubbed version (released in 1978 in the United States). There is also a newly-prepared commentary track featuring Spaghetti Western experts C. Courtney Joyner and Henry C. Parke.